The proposed project is a multi-use facility encompassing approximately 2.1 acres within Kewalo Basin and located between Kewalo Basin Harbor and Ala Moana Beach Park. Design Partners Incorporated was part of the Aloha Consortium who submitted to Hawai’i Community Development Authority (HCDA) a proposal to develop a multi-use facility at Kewalo Basin. 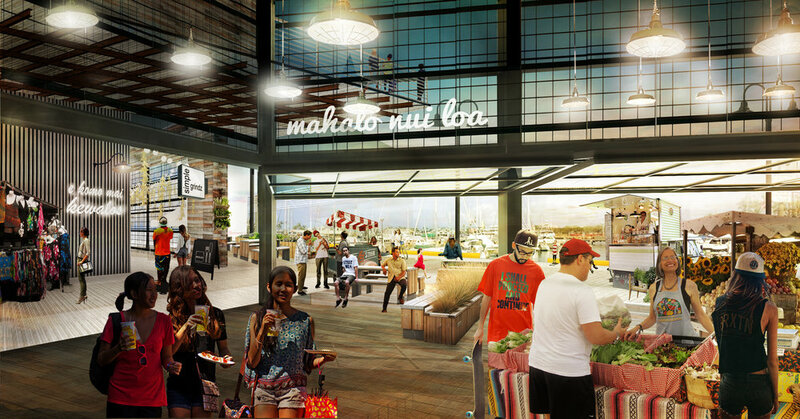 Design Partners Incorporated served as the architect and lead designer for Aloha Consortium. The waterfront facility consists of four, two-level buildings with the majority of the second level featuring an open deck and public viewing spaces. 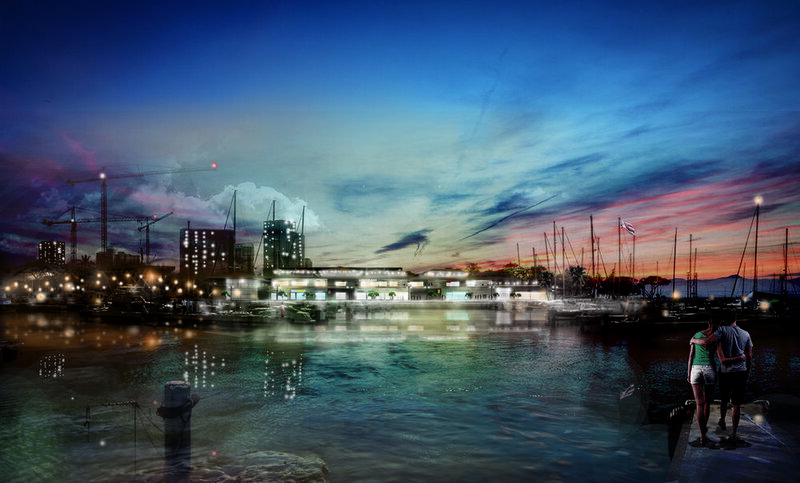 Combined, the four buildings include approximately 44,000 square feet of waterfront restaurants and markets; cafes and bars; a live entertainment venue; and an open deck and signature multi-use venue on the second floor. In addition, the proposed project includes a 250-stall, multilevel parking structure. 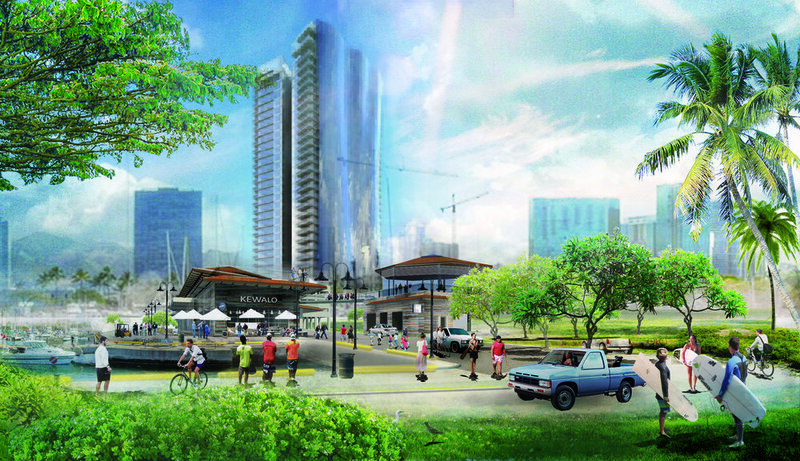 This project soughtto bring to fruition HCDA’s vision to revitalize the harbor area while moving forward toward its and the community’s collective vision for Kakaʻako as a place where people can live, work and play. Indeed, it is our understanding that Kewalo is set aside for the elements of “work” and “play,” and our intention is to deliver a project that fulfills this promise.